We will be teaming up with Firedome Inc., the creators of the leading endpoint cybersecurity solutions for home IoT manufacturers, to include Firedome Home solution as part of our Nevo® Butler platform. Firedome Home adds cybersecurity protection, home digital diary, and enhanced remote customer support to our product. IoT devices are "low hanging fruit” for attackers for their low cost of attack and lack of supervision, making them a common target by hackers. Firedome's solutions are designed to close critical security gaps that are a byproduct of the IoT era. IoT devices have become “low hanging fruit” for attackers for their low cost of attack and lack of supervision, making them a common target by hackers. Cryptojacking, DDoS and ransomware attacks are only a few examples of cyber crimes that is threatening the home IoT ecosystem. "Privacy and security have been the core foundation of Nevo Butler's design since inception, and are offered as a managed service rooted in hardware." Nevo Butler is pre-integrated with Firedome Home to include advanced monitoring and insights derived from any connected device in the home environment. Firedome’s non-intrusive solution includes digital presence alerts, parental control mechanisms and network enhanced data. Offered as part of a marketplace of partner services, this capability can extend and compliment the physical security services offered in the safety & monitoring segments, as well as an enhanced digital well-being under broadband services. 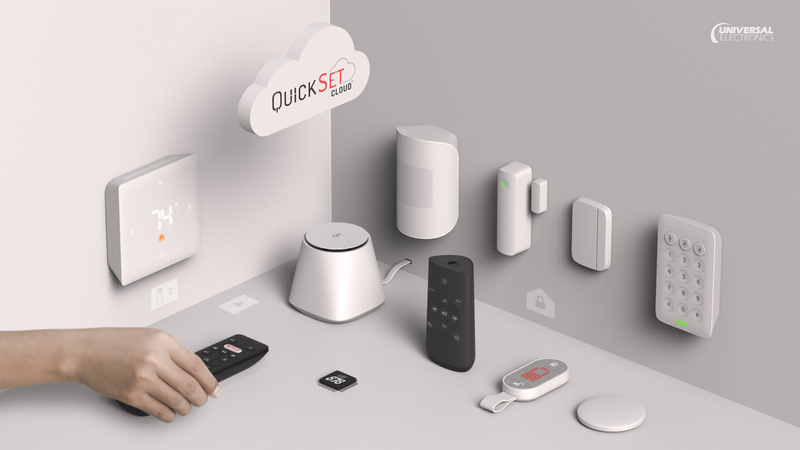 “We are excited to join forces with Universal Electronics, the worldwide leader in universal control and sensing technologies for the smart home, to help enable service providers and device manufacturers become the home security gatekeeper, and enrich their value added services through our innovative, non-intrusive software-only solution.” says Moti Shkolnik, Firedome’s Co-founder and CEO. "It is only logical for such a platform to not only offer physical security services, but also address the digital security of connected homes, and include cybersecurity as-a-service..."
“Privacy and security have been the core foundation of Nevo Butler's design since inception, and are offered as a managed service rooted in hardware. It is only logical for such a platform to not only offer physical security services, but also address the digital security of connected homes and include cybersecurity as-a-service to our customers, and end consumers.” says Arsham Hatambeiki, SVP Product and Technology, Universal Electronics Inc.
We will host product demonstrations for all our latest technologies and design concepts, and unveil our latest product, Nevo® Butler and related platform kits at booth #42325 in the Sands Expo at CES 2019 in Las Vegas from January 8-11 and will jointly showcase the combined solution with presentations and demos. Nikki Ahmadi, Director of Cloud and Software Products, will be available to discuss how Nevo Butler and curated kits and services can be used to introduce or expand offerings in a range of channels.